Spread bread with cream cheese. 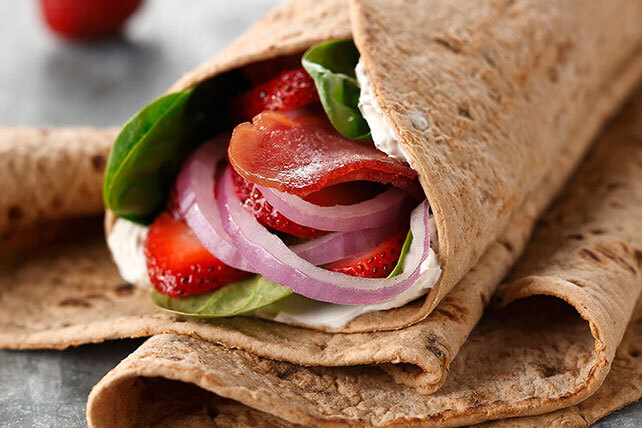 Combine spinach, onions, berries and dressing; place on bread. Top with bacon; roll up. Substitute 2 multi-grain bread slices for the flatbread. Spread both bread slices with cream cheese; fill with spinach mixture and bacon.